There has been a lot of discussion on the topic of Ram Setu in India; while Hindus firmly believe that this was built by God Rama and his army to reach Sri Lanka, there are few who say that it has nothing to do with Hindu God and the events of Ramayana didn’t actually take place. 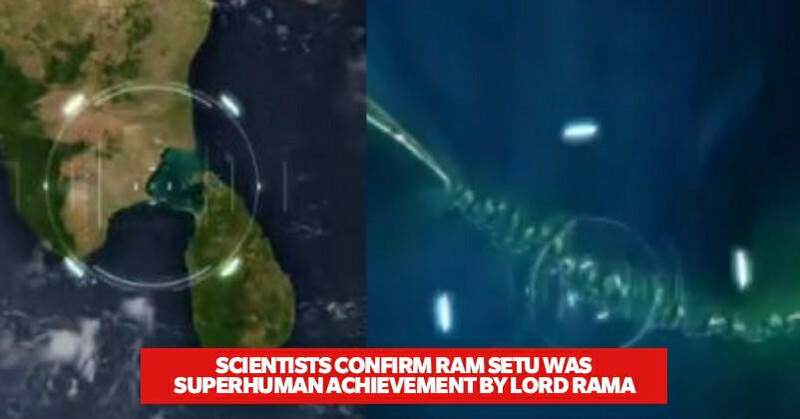 In a promo of a show which is telecasted on a US Science Channel, the scientists have stated that Adam’s Bridge (Ram Setu) can’t be formed naturally and it may have been the result of human efforts. The promo showed images taken from NASA satellite and the investigators said that it is a line of rocks which has stretched nearly 30 miles between India and Sri Lanka. They further stated that the stones are kept on a sandbar which could build up between the land masses; however when the detailed investigation was done, it was found that stones are 7,000 years old while the sand is 4,000 years old. The geologist Dr Alan Lester said that the stones that have been kept on the sandbar must have been brought from somewhere else and then kept on the sandbar. What do you have to say in this connection? Let us know your views. I Divorced My Husband After Our Honeymoon. Am I Asking For Too Much?